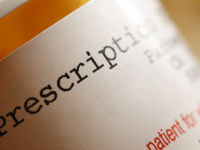 Being prescribed with insulin can be daunting following a diabetes diagnosis. There is a lot to learn about what insulin does and you have to make sure you never let your insulin supply run out. This section aims to answer questions on insulin prescriptions. In the UK, there should be no need for people with diabetes to buy insulin. People with type 1 diabetes and insulin-treated type 2 diabetes are prescribed insulin without charge. But you may have to pay for certain insulin-related products, such as insulin pumps, insulin pens and wallets for insulin storage. It is important to ensure your Medical Exemption Certificate is up to date in order to receive your free insulin, and other prescriptions. Why are people with diabetes given insulin on prescription? People with type 1 diabetes are prescribed insulin shortly after their diagnosis. They will need insulin prescriptions for life to keep their blood glucose levels stable. People with type 2 diabetes can require insulin if diet and exercise cannot control their blood sugar levels adequately. However, if good glycemic control can again be achieved, then a patient can come off insulin. You must make sure that you never run out of insulin. When your insulin supply is starting to run out, contact your pharmacy and re-order your prescription.